A high-energy fusion of world-class tap dance and Irish dance, at long last, Red Hot Rhythm’s first stage spectacular is here. Rhythm Junkies follows the story of 10 professional performers, each struggling to survive in a money-oriented world. They coincidentally meet, and quickly begin fusing and experimenting with their various rhythmic art forms, on stage and off. They relish the experience, until they ultimately realise the show must end, and are faced with having to return to the ‘real world’, and their ‘real job’. Also featuring Irish fiddle, African drums and Didjeribone (slide Didjeridoo). 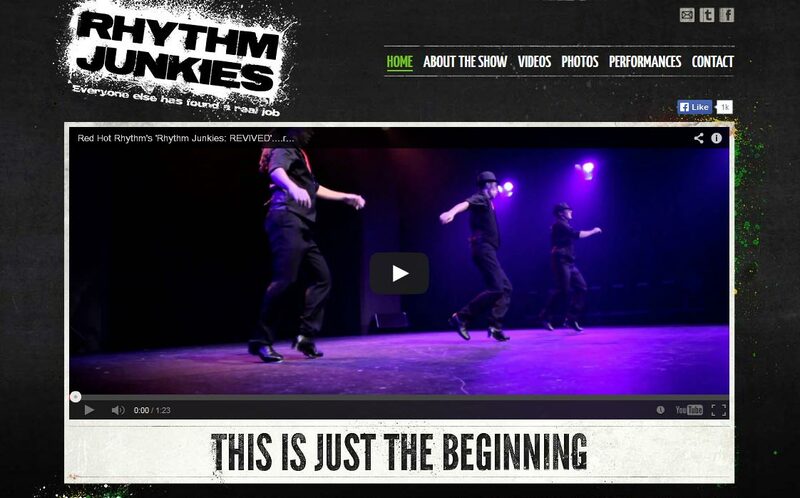 ‘Rhythm Junkies’ premiered its debut season at the Visy Theatre, Brisbane Powerhouse, to sold out shows, standing ovations, and an overwhelmingly positive response from both the general public, and respected industry members. Through ‘Rhythm Junkies’, Red Hot Rhythm have aimed to create a highly-entertaining and awe-inspiring theatre show, to be enjoyed by audiences of all ages and backgrounds. With a running time of 75 minutes, the show is highly energetic, exciting and at times, hilarious. A spectacular, highly entertaining fusion of dance and music appropriate for all ages, ‘Rhythm Junkies’ is a brand new work, straight out of Brisbane, and definitely not to be missed.